Do your validation processes meet their specified requirements? 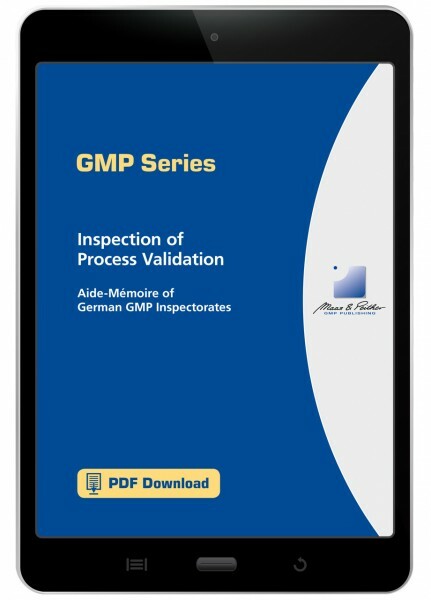 This bilingual guide offers an excellent up-to-date approach on process validation. It facilitates the planning and execution of all necessary steps to be compliant. What should validation documentation contain? How does one implement continued process verification? What receives particular attention during an inspection? In this GMP Series Download you will be given specific answers to these and other frequently asked questions. The validation of processes is a primary requirement in the pharmaceutical industry. This Aide-Mémoire of ZLG is a structured guide for the planning and execution of process validation. New concepts for modern process validation are introduced and known facts are summarised. Due to its importance for the pharmaceutical industry, the directive document was translated into English by the Maas & Peither AG, GMP-Publishing. With this volume, you receive a bilingual comparison with excellent practical applicability, also in an international context. Don't miss out on your copy of Inspection of Process Validation!